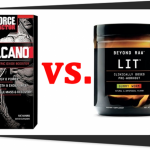 Force Factor VolcaNO vs. GNC BEYOND RAW LIT presents two products for people who want to get explosive muscle pumps and intense energy boost for optimum muscle gains. Force Factor VolcaNO works by elevating the nitric oxide levels in your body. On the other hand, GNC BEYOND RAW LIT uses clinically-studied doses of science-backed ingredients to enhance your workout results. 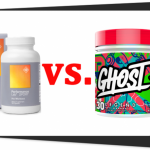 Is one supplement superior to the other? Let’s find out in this review. Both Force Factor VocaNO and GNC BEYOND RAW LIT are pre-workout supplements for intense muscle pumps. How are Force Factor VolcaNO and GNC BEYOND RAW LIT formulas similar? In this table, it is evident that Force Factor VolcaNO and GNC BEYOND RAW LIT only has one identical ingredient form: l-citrulline (a popular ingredient in many pre-workout supplements for vascularity). However, it’s only GNC BEYOND RAW LIT which provides a significant dosage at three grams per serving, while Force Factor VolcaNO did not state the quantity. On the other hand, Force Factor VolcaNO and GNC BEYOND RAW LIT both offer superior forms of creatine (CON-CRET® Creatine HCl and creatine monohydrate) for increased muscle mass and energy levels. How are Force Factor VolcaNO and GNC BEYOND RAW LIT formulas different? GNC BEYOND RAW LIT proudly stated the forms and dosages of its ingredients on its label. 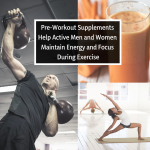 In sharp contrast, Force Factor VolcaNO hid the dosages of most of its ingredients – this probably means it offers lower-than-expected dosages from a pre-workout supplement. Even if we take the average of the total ingredients in the proprietary blend of Force Factor VolcaNO, GNC BEYOND RAW LIT immediately outshines the ingredient dosages of Force Factor VolcaNO (which the manufacturer squeezed into its 1,520-milligram proprietary blend). Therefore, GNC BEYOND RAW LIT offers the better dosages of these ingredients. For creatine, both supplements offer premium forms. However, GNC BEYOND RAW LIT offers an advanced and highly-absorbable form (creatine monohydrate), while Force Factor Volcano offers a branded from of creatine (CON-CRET® Creatine HCl). 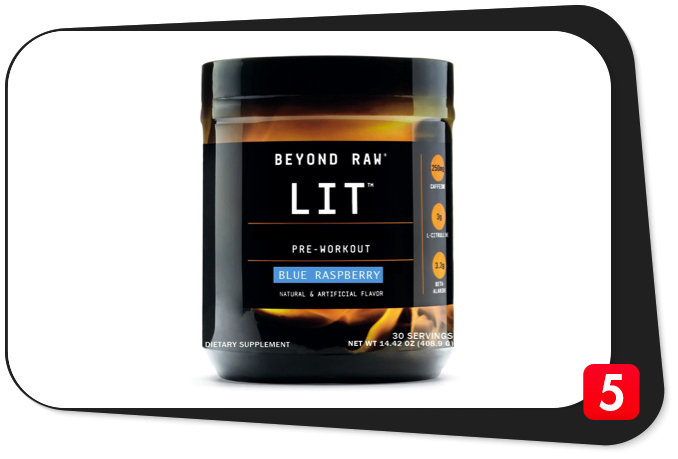 GNC BEYOND RAW LIT clearly contains the better formula because its ingredients come in effective, clinically-studied dosages. Long story short, its formula packs the punch that you expect form a pre-workout supplement. In addition, it clearly stated the forms and dosages of its ingredients, so you don’t have to guess. GNC BEYOND RAW LIT contains more ingredients than Force Factor VolcaNO. Plus, the former’s ingredient forms have good bioavailability. On the other hand, Force Factor VolcaNO contains a shady proprietary blend which hid the dosages of most of its ingredients. It is difficult to determine whether or not each ingredient can meet your expectations. In addition, the nutrient combination of Force Factor VolcaNO lacks variety. Most of it ingredients have only one goal: enhance physical performance. The ingredient choices of Force Factor VolcaNO are good, but it can do better if it adds adaptogens or nootropics to its blend. Advanced Delivery No. Plain gelatin capsule only. No. Flavored powder only. Stim-Free Yes No. It contains NeuroFactor™ Coffee Fruit Extract and Caffeine Anhydrous. GNC BEYOND RAW LIT contains more high-quality ingredients than Force Factor VolcaNO. However, the former contains more supplement additives than the latter because of these two supplements’ different delivery systems. GNC BEYOND RAW LIT comes in a flavored powder form while Force Factor Volcano comes in a plain gelatin capsule. Moreover, GNC BEYOND RAW LIT contains two sources of caffeine (NeuroFactor™ Coffee Fruit Extract and caffeine anhydrous) which might cause jitters in some people. With this in mind, if you’re after a stim-free supplement, Force Factor VolcaNO is the better option. Nevertheless, GNC BEYOND RAW LIT has more top-notch ingredients than Force Factor VolcaNO. These prices are from GNC in 2018. If you want to shop around for a deal and save, you can also buy these formulas from Bodybuilding.com and Amazon. They may or may not have better prices, but you can check them out for flash sales since different websites offer different promos. Force Factor VolcaNO contains fewer ingredients which are also in its proprietary blend. This cheaper supplement maximizes your workout gains and increases your vascularity. However, the manufacturer underdosed some of its ingredients. It may not produce significant effects since there is no way to tell which ingredient plays the biggest role in its proprietary blend. In addition, the manufacturer of Force Factor VolcaNO has a history of autoship scams, refund difficulties, and rude service. GNC BEYOND RAW LIT might be a better option because of its superior customer service and 30-day money back guarantee. In terms of pricing, Force Factor VolcaNO is cheaper than GNC BEYOND RAW LIT. Force Factor VolcaNO provides some workout benefits. However, if you are caught in the middle of autoship scams, refund difficulties, and rude service, you might want to think twice about getting this cheaper supplement. You might end up paying for more products you don’t want if Force Factor VolcaNO doesn’t work well for you. 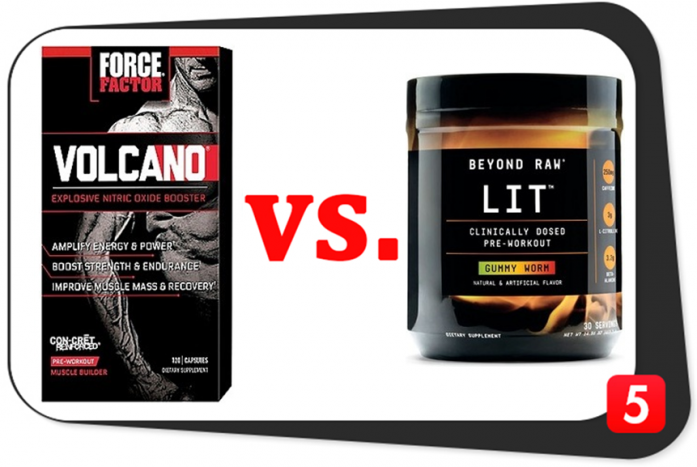 Force Factor VolcaNO vs. GNC BEYOND RAW LIT: Which is Better? Force Factor VolcaNO is an effective pre-workout supplement which does what it says. 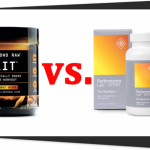 However, if you are after a pre-workout with more ingredients from a reputable brand, you better go for GNC BEYOND RAW LIT – it gives you more ingredients and more health benefits. In addition, GNC BEYOND RAW LIT contains more high-quality ingredients than Force Factor VolcaNO. If you want a supplement which is worth your money and you would also like to steer clear of scams, opt for GNC BEYOND RAW LIT and experience its benefits.